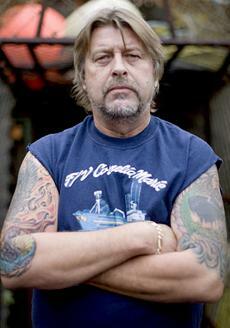 Captain Phil Harris of the Cornelia Marie on Deadliest Catch has died. Sons Jake and Josh Harris broke the news on the Discovery Channel show’s official site, where updates on Harris had been posted since his January 30 stroke. Harris, who was 53, was based out of Seattle, suffered a stroke during an offload of crab. He was found unconscious in a stateroom, was airlifted to Anchorage for 12 grueling hours of surgery, then placed in a medically induced coma. Phil Harris, a fisherman for 32 years, was a co-owner of the Cornelia Marie, which he’d captained for 18 years; Jake and Josh work on the ship as deck hands. Fans reached out Tuesday night on the show’s message boards, where comments have been posted since Phil Harris fell ill, offering condolences to the family. ANCHORAGE, Alaska (AP) — Phil Harris, the fishing boat captain whose adventures off the Alaska coast were captured on the television show “Deadliest Catch”, has died, the Discovery Channel said Tuesday night. He was 53.